A lower heating element keeps the popcorn warm all day and the old maid's pull out drawer keeps the un-popped kernels from getting into the popcorn. The Contempo four popcorn popper features witches are on the back of the machine for easy operator use. 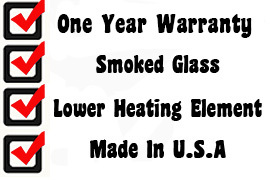 This machine offers a one year warranty. Paragons Contempo Four popcorn machine is features all the features of the larger machines. A small foot print and anodized aluminum kettle keeps the popcorn coming. Best of all, it's black frame and smoked glass, bring a contemporary look to a popcorn machine. 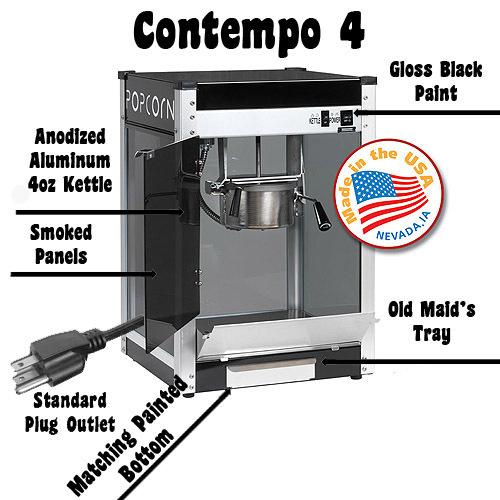 This Contempo Four ounce concession style machine features smoked glass panels for the modern/contemporary look, a warming deck to keep your popcorn hot all day and an "old maids" tray for easy cleaning. 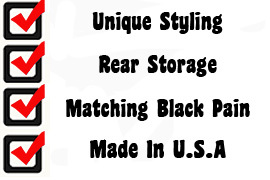 Never before has a Paragon four ounce popcorn had all these features with such a low price. Forget the other machines with plastic sides and top. Blackened glass panels and a pair of plexiglass doors outweight the competition for function and cleanability. 16" X 34" X 30"